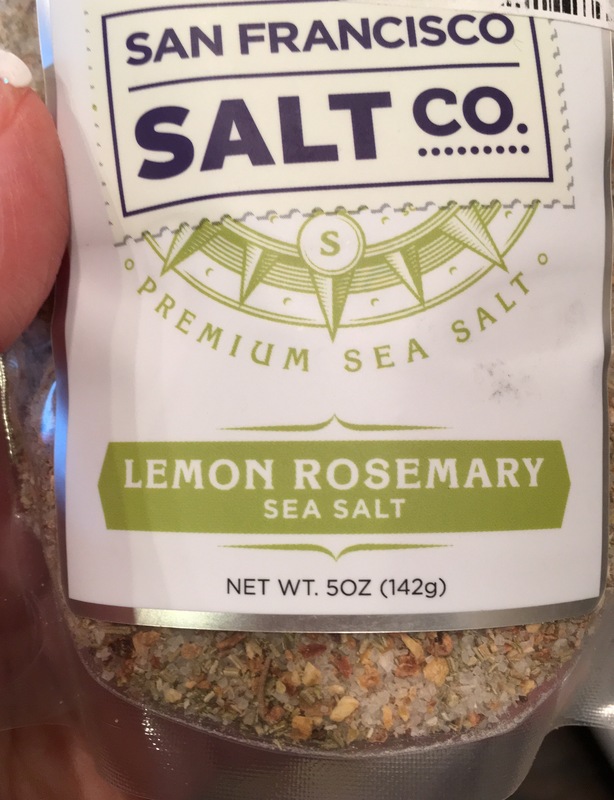 Lemon Theme Dinner – Eat, Drink, and Go! 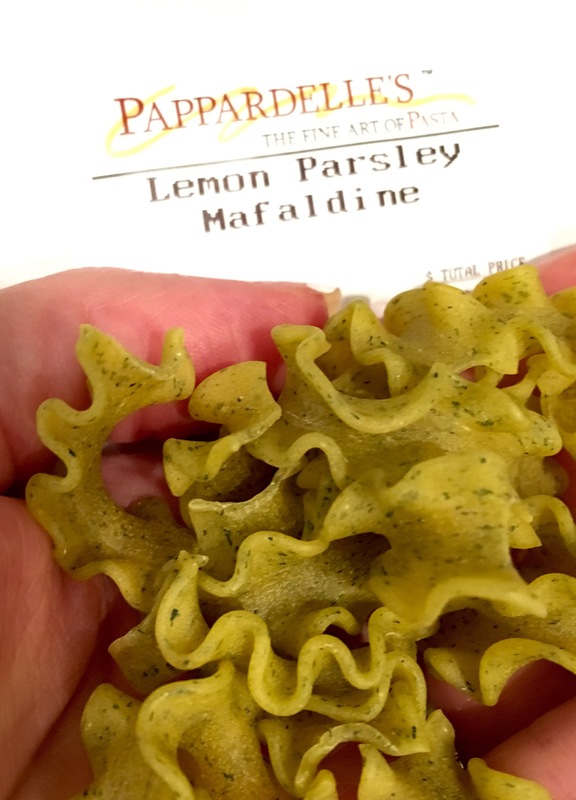 The lemon flavor theme started with my interest in using Pappardelle’s Lemon Parsley pasta. It developed from there! 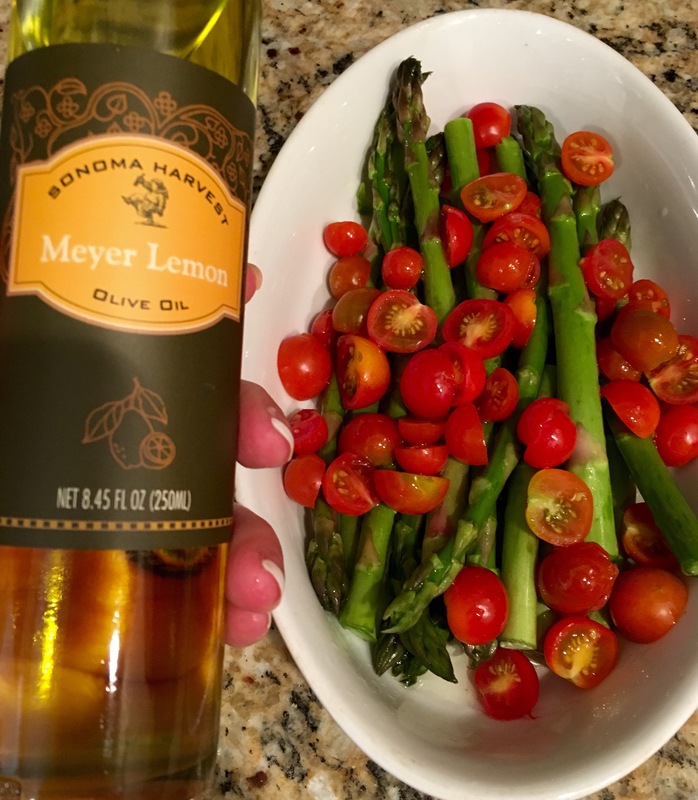 Enter the veggies and lemon oil…asparagus and garden fresh cherry tomatoes tossed in lemon olive oil, lemon rosemary salt from San Francisco Salt Co, and roast til yummy! 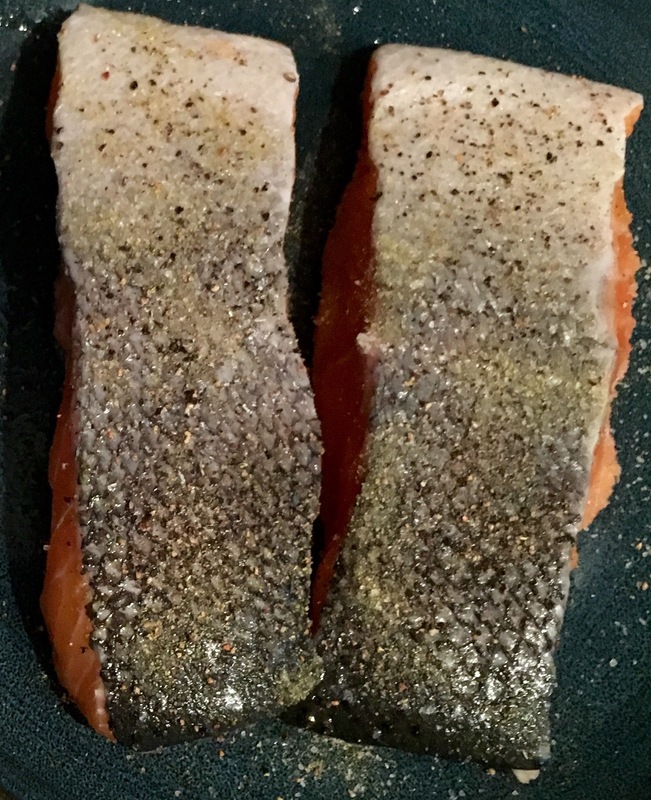 Make sure you season the skin well if your plans are to crisp it up as the delicious, natural bed for the salmon. People sometimes skip the skin, I believe that they are missing out. But to each his own. 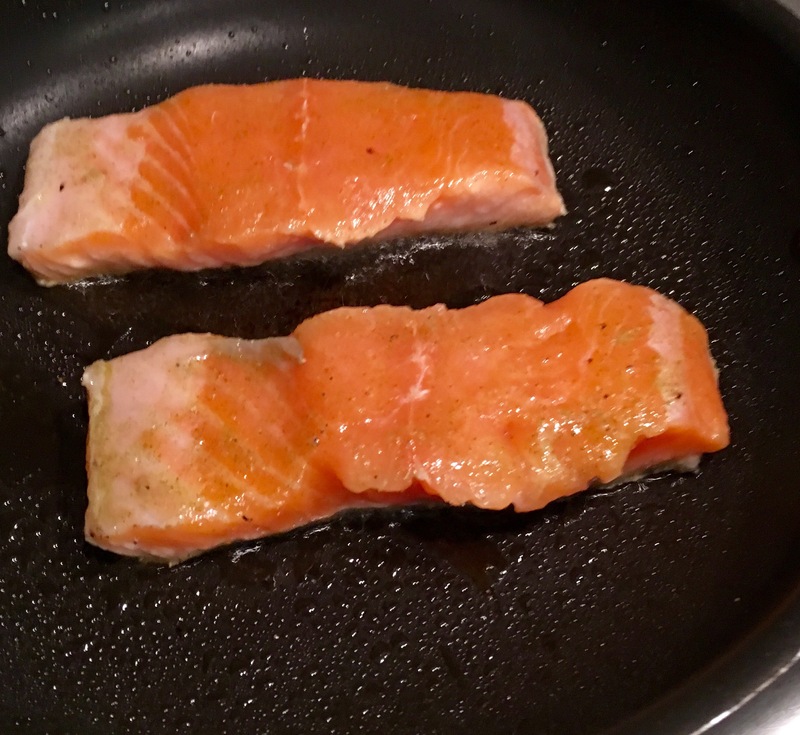 Drizzle a little of the lemon oil, then place skin side down and sear, sear, sear. Add a little of the salt and pepper on top to the fleshy side, once you’ve gotten a good crispy sear on the skin side, flip and cook just a little more to make sure the filet is cooked through. 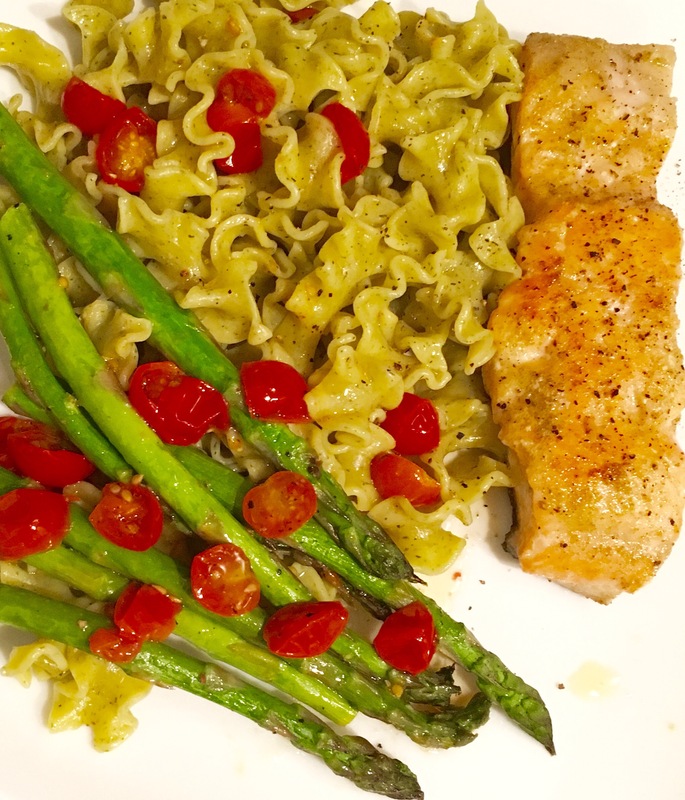 This was a delicious, light, lemony dish!! I paired it with a lemony drink too!!! 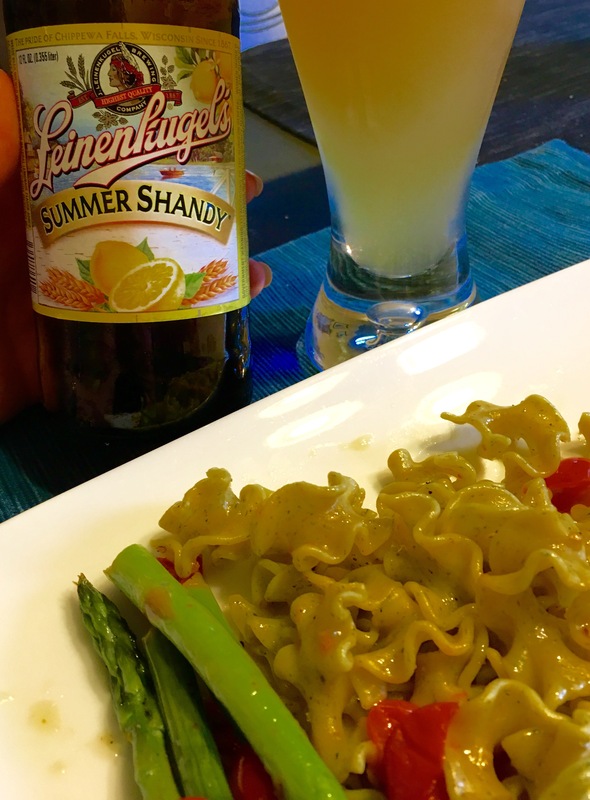 A great Summer Shandy from Leinenkugel. This is a half beer, half lemonade kinda combo and it’s a great light summer beer. You make this enticing plate look easy peezey lemon squeezey!! What great execution of a lemon theme GoGirl!! !